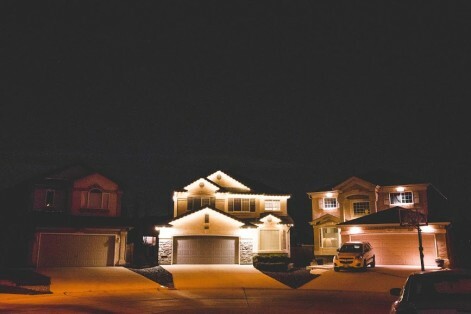 G30 Warm White LEDs on a home in Winnipeg. 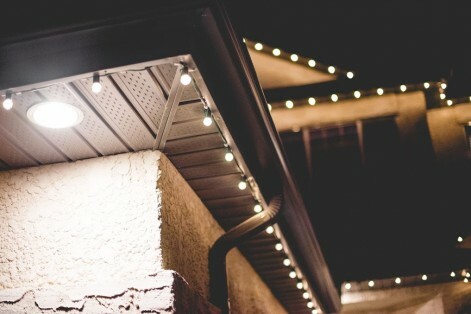 These lights were installed underneath the soffit. These are the best LEDs I’ve seen yet and feel quite excited about them. 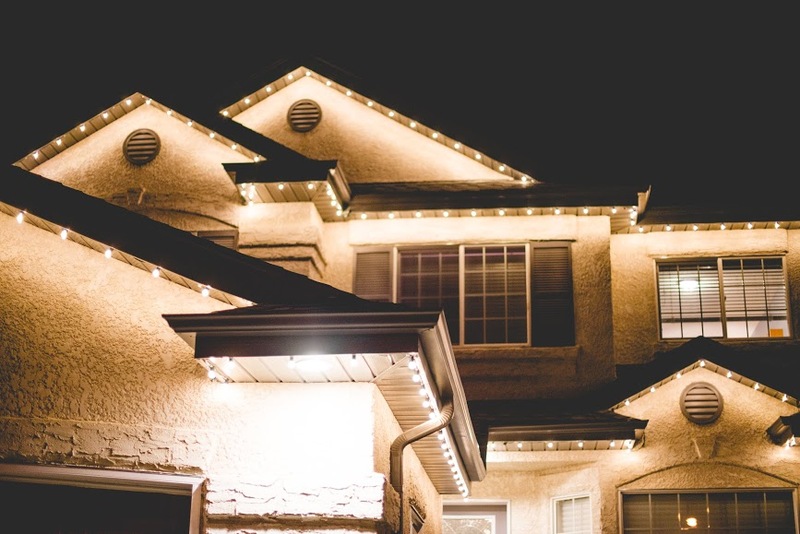 They’re called G30 “super-bright” bulbs and I think you will start seeing them up on houses in Winnipeg more and more in the next few years. Why are they good? First and foremost, it’s because they’re strikingly bright. They remind me very much of the shine you get from a classic clear incandescent Christmas light bulb – though of course at a tiny fraction of the energy cost. 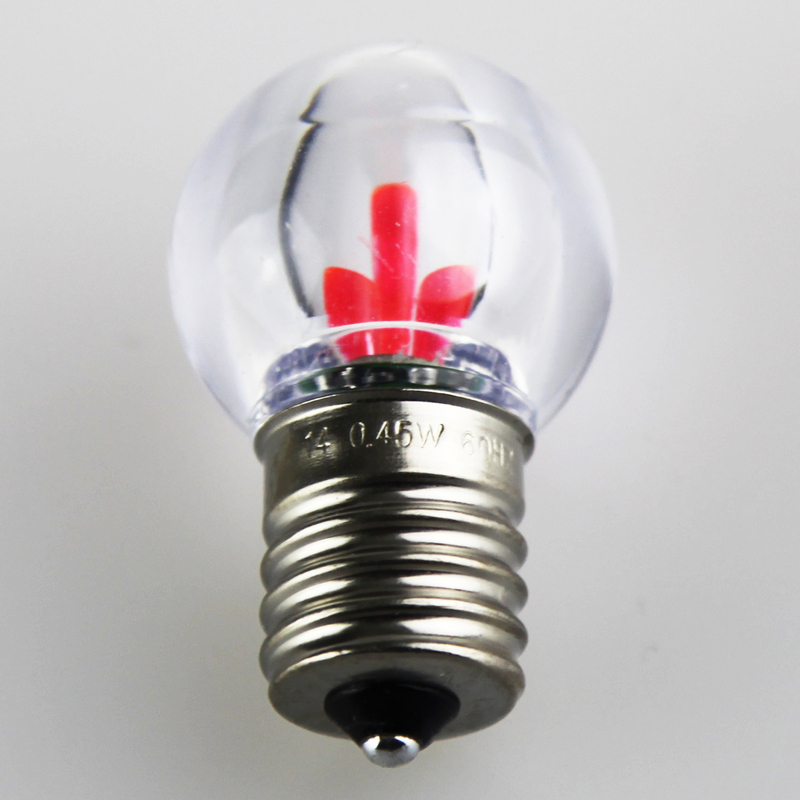 Inside the 1″ diameter bulb are 5 LEDs which have been stacked to send out light at the widest possible angle. They are extremely durable and the lifespan of the bulbs is rated 50,000 hours… which is a really long time. 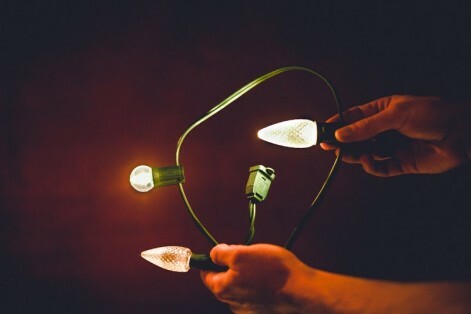 I also believe the small size of the bulbs is a nice touch – particularly for permanent installs where lights are up year-round and it’s best of the lights aren’t as noticeable when they’re not being used. But they are also a fantastic Christmas light for seasonal installations, too. And, yes, they’re available in all colors – even turquoise. Bottom left: a store-bought a single warm white LED, Top left: The G30 LED, Top right: our standard 5-LED C9 Christmas bulb. A perspective on how bright these lights are.